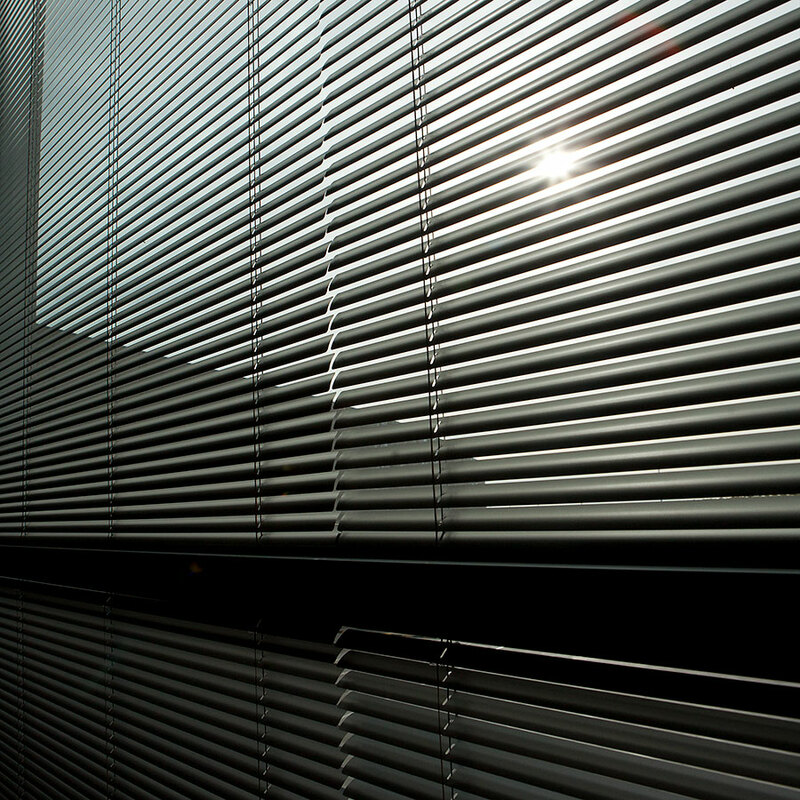 Aluminium Venetian blinds allow you to maintain your privacy without giving up visibility, for example, in conference rooms and medical clinics. Adjustable slats make it possible to optimise sunlight management. In addition to protecting the room from the direct impact of the sun on large outdoor windows, these systems can be installed between the glasses in large halls to separate the different settings. 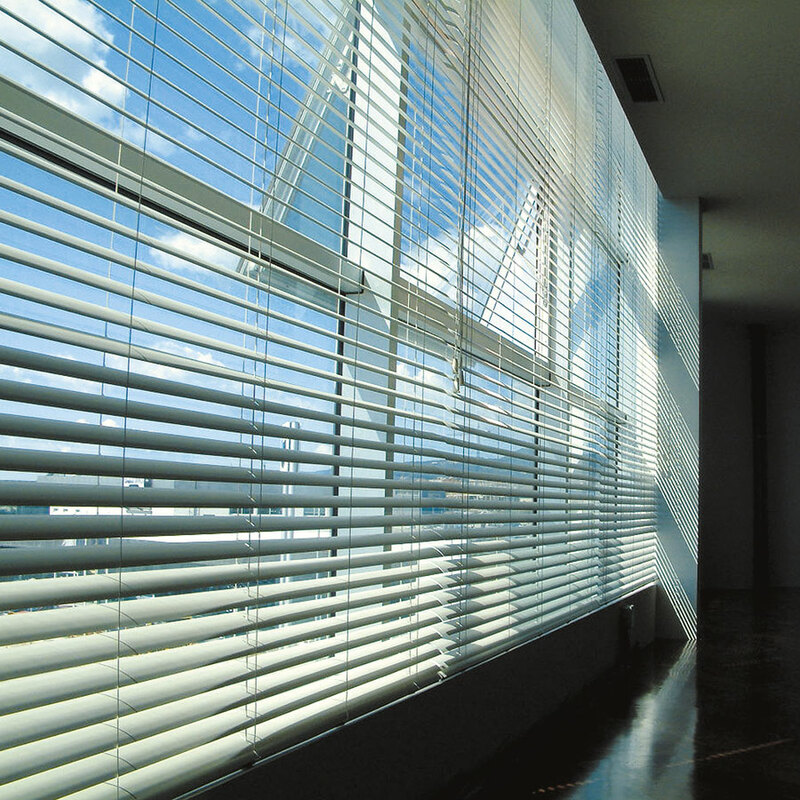 The horizontal slats are available in three sizes: 15mm, 25mm and 50mm. 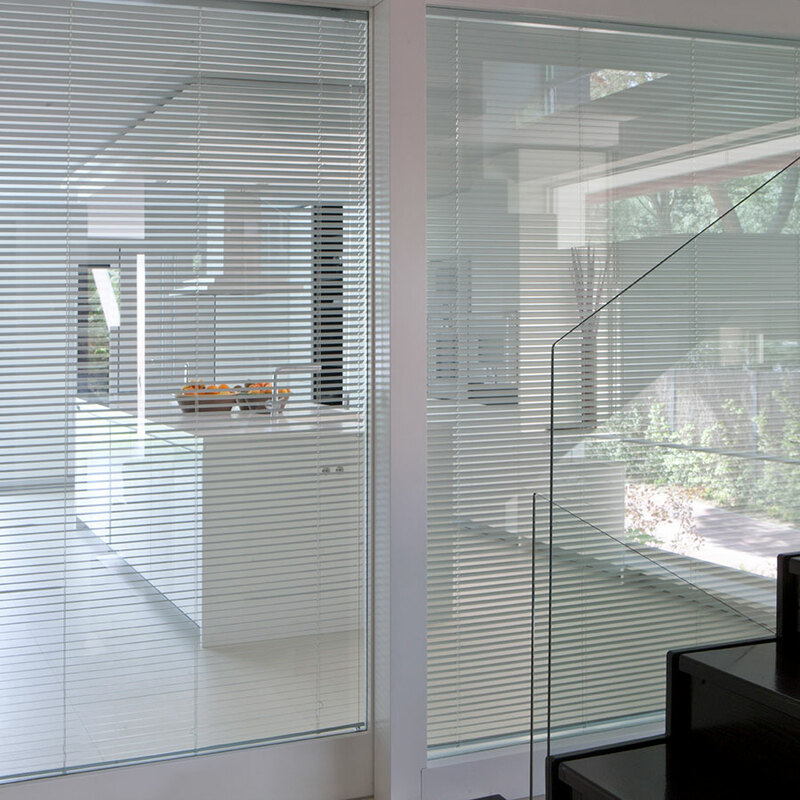 Manufactured with 100% high-quality aluminium, the Aluminium Venetian blinds afford the ideal adjustment of the sunlight thanks to their 180º turning radius. Are you interested in this system for a project? Discuss your latest project with our experts. Tel 0151 298 2000 or fill in the form below.